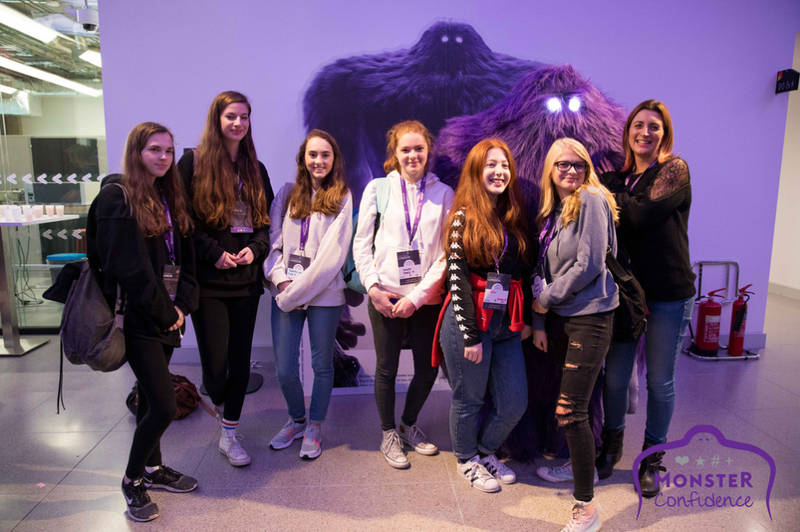 A small group of young women studying Computer Science at BHASVIC attended the STEMettes Monster Confidence conference at Plexal in the Queen Elizabeth Olympic Park in Stratford London on Oct 19. The aim of the day was to build young women’s confidence in how to go into STEM-related further education and jobs in industry. We took part in workshops aimed at developing interview skills and how to give a good presentations, took opportunities to be ‘speed mentored’ by industry experts, listened to some insightful keynote speeches from Sarah Wood, OBE co-founder of Unruly, Jaz Rabadia MBE from Starbucks, and met a wide range of women in different job areas from companies such as Veoila, Sempre Analytics, Sky and PwC.